George Herbert was born on February 25th 1842, the third child of Thomas and Sarah Herbert. Around 1849 he went to Mr William's school in Great Turner Street, which runs north from Commercial Road East, a few minutes walk up Canon St Road from St Georges Street. Then in 1852 'arrangements were made to send me to my Uncle's school in Nottingham.' This was University School, Nottingham, run by the Rev. George.Herbert, Thomas Herbert's younger brother, where he was educated with such people as Arthur Liberty, founder of Liberty's department store in Regent Street, London. At the age of 16 in 1858 George left school, and was apprenticed in Nottingham to a London firm, Messrs Copestake, Moore, Crampton & Co., who according to an 1865 Commercial Directory were warehousemen for "lace and sewed muslins, scotch and Manchester goods, cambrics & lawns, crapes, gossamers, velvets, stays, artificial flowers, millinery, baby linen, mantles, outfitting, shawl & haberdashery, umbrellas & parasols". In 1845 they had moved into manufacturing and built their own Lace Factory in Nottingham. George had hoped for a transfer to London, but in his own words, 'after being with them for about a year I found out that there was no likelihood of my being transferred to the London House so my parents persuaded Mr G Moore to release me and I returned to London'. 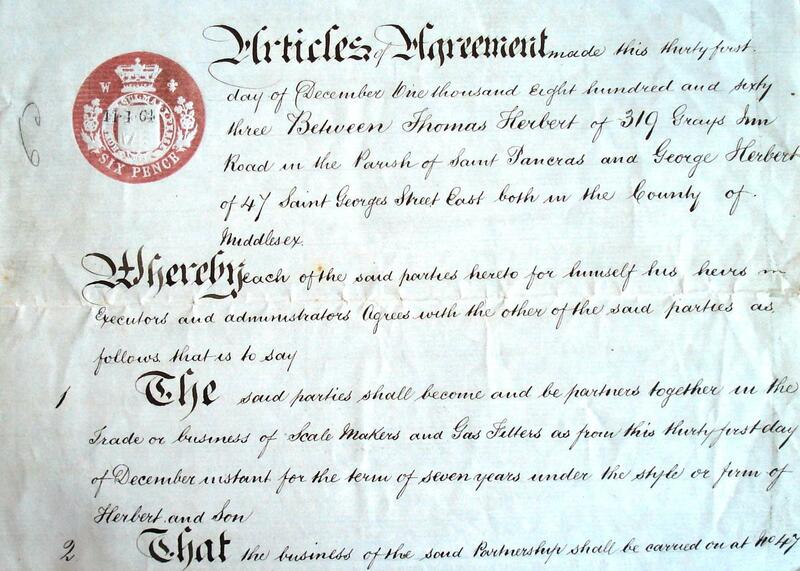 The Herbert business was already employing Thomas Benjamin Herbert, George's older brother, so it 'was not thought desirable at that time' to bring further members of the family into the firm. So George 'went on trial to an oil & colourman, but found it not suitable'. He joined Messrs Pritchard in Houndsditch, who were stationers and printers, with a view to being an indoor apprentice, but he 'soon found out they were a very strict Roman Catholic family which was not at all to the liking of' his parents or George. 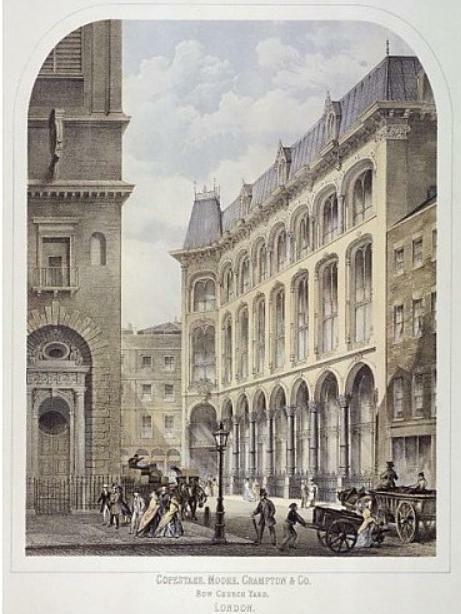 He then joined a firm of architects and surveyors, Messrs Hughes & Sons in Queen Street, Southwark, and thought himself 'fairly well settled and was looking forward to be articled to them' as the profession seemed to be to his liking, and he had since his 'return from Nottingham been attending the School of Art in Clapham in the evening'. However it was not to be. His brother Thomas had married Mary James in September 1863, but within days had had a huge row with his father. As a result he deserted his new wife, disappeared from the family and was not heard of until the 1870s, when it transpired that he had enlisted and fought in the American Civil War. This hiatus caused a rearrangement in the firm, as in George's own words ‘all ideas of my learning another business were given up and I started my father's line'. The family moved up to Grays Inn Road, Kings Cross, and George was taken into partnership with his father on December 31st 1863, looking after St George Street. George later recalled ‘this was a toughish job'. ‘Getting up at 6. One hour's walk to St George Street and working all day and walking home at night'. He ‘got on better when the Metro railway opened Paddington to Farringdon Street and later to Moorgate' two years later in December 1865. He continued ‘The staff at St George Street consisted of 4 or 5 men and perhaps an apprentice and errand boy and pony cart'. 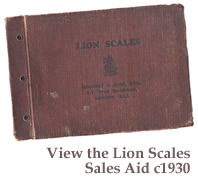 ‘We used to forge and file our own counter machines and large weighing machines. Inverted and Large beams were forged out of doors and then filed and finished indoors, and at that time I used to do the painting and japanning and (sign)writing the names on the scale beams and machines, and this I mostly did of an evening after the men had left off. By doing this I was able to earn a decent amount which provided me with pocket money and the remainder put by in reserve'. 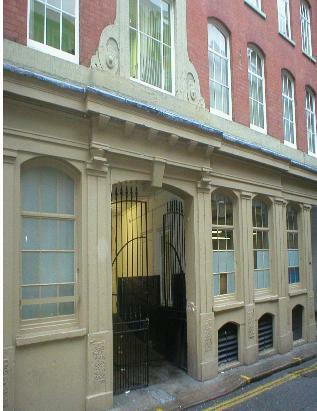 So now the firm had three premises: King's Cross, St George Street and West Smithfield. Although first year receipts from the new acquisition ‘were only about £800', trade ‘soon brightened up upon the new (Smithfield) Market being opened' in 1868. At the same time the Newgate Street Market was closed and the work that was coming in ‘kept us going all night'. 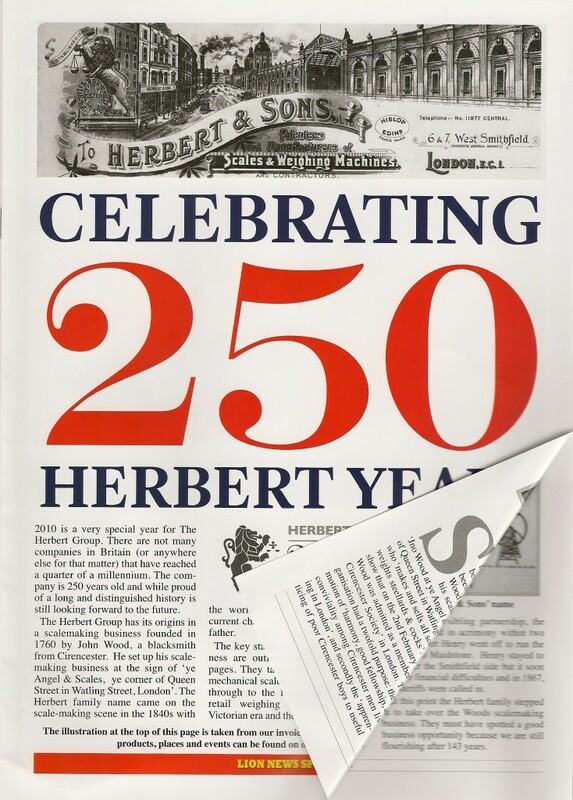 Herberts continued to make large and small scales and also took advantage of its proximity to the new market to add butchers' sundries (such as knives, blocks, hooks, slicers, trays and so on) to the range on sale.